Written by Sissy Rodriguez, junior at the University of North Carolina at Chapel Hill. The unprecedented rise in social media over the past decade has turned traditional crisis communication on its head. Social media has become the new avenue for “breaking news.” No longer does a business have the luxury of composing a news release or holding a press conference within the first few hours of a crisis. 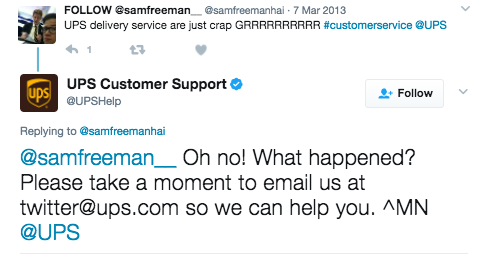 Companies now are responsible to answer to the public within minutes, even seconds, or risk the wrath of social media permanently tainting its reputation. 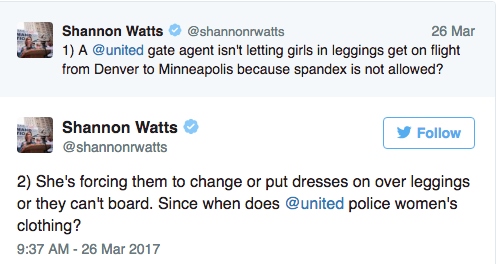 Take United Airlines’ recent public relations disaster that began with a bystander posting onto Twitter. In response, United defended its decision to prohibit the passengers and posted a cookie-cutter response to the growing number of irate Twitter users. 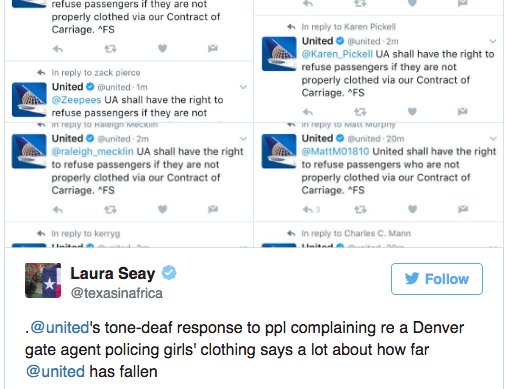 The response did not resonate well with the Twittersphere; rather than the scandal dissipating since United Airlines was technically in the right, people recognized only United’s poor crisis communication strategy. This situation isn’t uncommon. In fact, one study revealed that now more than 25 percent of crises spread internationally within one hour, thanks to social media, and it takes an average of 21 hours for companies to respond externally. Now more than ever, it’s vital that businesses have crisis communication plans already in place specifically addressing social media. Roles and responsibilities for key communicators within the organization. Up-to-date contact information for executives or department heads. Clearly defined approval process for any and all social media posts. A list of all social media accounts–and passwords! An outline of the organization’s social media policy. When a crisis hits, it can only take minutes to trend on Twitter. However, there are ways to be proactive. Using environmental scanning tactics, your company should be constantly monitoring the social buzz. Using websites like Keyhole will allow you to automatically track any mentions of your organization or relevant hashtags. This can allow you to abreast of developing issues getting traction on social media. In addition to implementing environmental scanning tactics, make sure you’re actively engaged in communication within your organization. The last thing a company needs during a crisis is two employees contradicting each other with misinformation. Make sure everyone is on the same page with what they can (and cannot) say regarding the crisis. Many social media users will directly mention a company with a complaint or an issue. Don’t ignore these and don’t respond the same way to everyone. Even if the user is in the wrong, people simply love to know they’re being heard. Remaining in line with your organization’s tone and voice, craft a professional, warm and honest response. Even if you don’t quite have an answer for someone yet, try a response such as “@user- we are so sorry X happened, and we are looking into Y now.” It’s not possible to completely control the message when it comes to social media, but remaining active in the conversation can at least allow you to steer it in the right direction before a problem escalates. Bottom line: Prepare for uncertainty. Social media is now a critical part of crisis communication strategies, and a strong guideline of best practices to utilize social media will help your company weather the storm–and maybe gain a few followers along the way. For more tips on handling social media during a time of crisis, check out the PR Council’s Guide to Integrating Social Media In Your Crisis Communications Strategy.